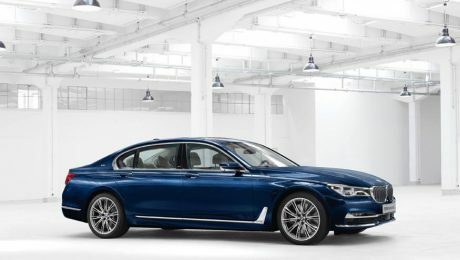 BMW 760i and the BMW 760Li are the flagship models of the new 7 Series. The wheelbase of both the BMW 760i and 760Li is extended 14 cm ( 5.5″) to improve the comfort of the passengers. Both models can be ordered either with rear wheel drive or all wheel drive. Just like with all M-Sport models changes are all visual, though there is a rumor that suspension, brakes and tires will be upgraded as well. Exterior changes include the usual M-package upgrades like a more aggressive front fascia, sportier M-style bumpers and redesigned wheels.